The Premium Starter Kit is the VERY BEST way to start your Young Living essential oil journey! This $160 kit is about 50% off retail pricing and includes everything you need to take care of your family’s everyday needs. EVERY. SINGLE. DAY. 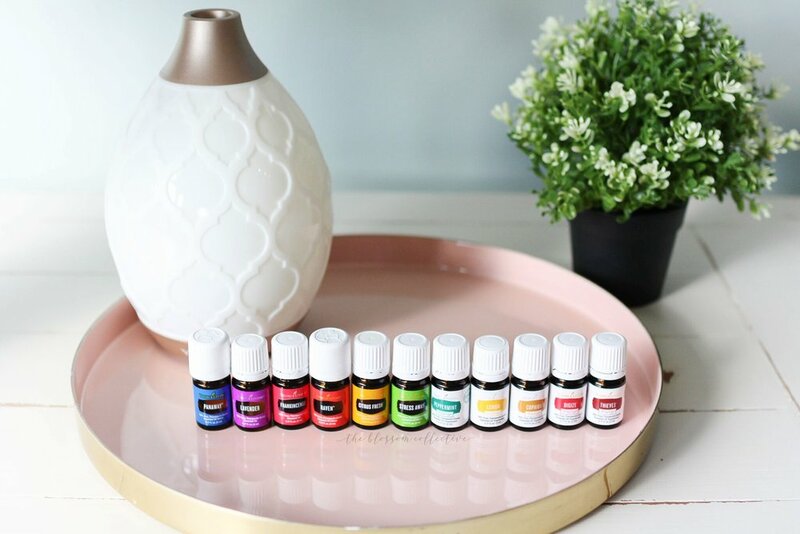 The oils included in the kit are some of the most popular and versatile essential oils, and you will use them in all areas of your life! 2) Educational materials, product catalog and SAMPLES! 3) ME!!! to hold your hand as you learn how to use your oils. It can be overwhelming at first, but I am here to help! 4) Access to a private Facebook Group where you can post questions and search topics so you can learn how to use your oils. The best thing about being a Young Living member is there are no fees and no commitments for membership! Totally risk-free! And once you try the oils, I think you’ll be in love, just like so many others who are opting for 100% natural, pure, therapeutic-grade essential oils to use throughout their lives! Click here to order your Premium Starter Kit!